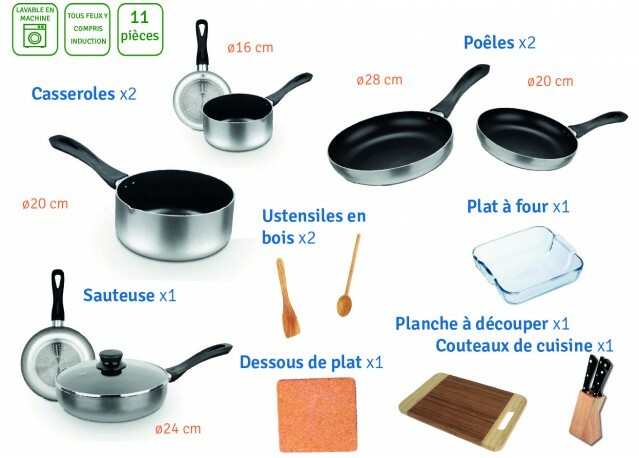 This set is composed of several elements and will allow you to cook easily every day. All heat sources including induction. Rent kitchen furniture thans to Get Furnished.